The National Juvenile Justice and Delinquency Prevention Coalition (NJJDPC) is a collaborative array of youth- and family- serving, social justice, law enforcement, corrections, and faith-based organizations, working to ensure healthy families, build strong communities and improve public safety by promoting fair and effective policies, practices and programs for youth involved or at risk of becoming involved in the juvenile and criminal justice systems. We work collaboratively on various reform efforts to improve the administration of juvenile justice. Serve as a clearinghouse for research and best practices within our nation’s juvenile and criminal justice systems. All members of the NJJDPC are encouraged to join or develop a Working Group. NJJDPC Working Groups are responsible for developing the NJJDPC’s policy and strategy in key issue areas. The ACT4JJ campaign is a principle Working Group of the Coalition that focuses on the reauthorization and funding of the Juvenile Justice & Delinquency Prevention Act (JJDPA). Other past Working Groups have focused on violence prevention and school safety. 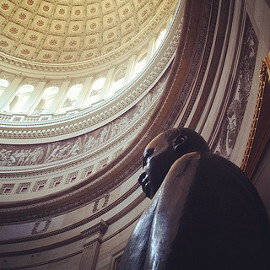 Participation in a Working Group requires members to contribute time (sometimes weekly) and in-kind resources such as convening conference calls, developing data sheets and positions, photocopying, conducting outreach with policymakers in Congress and to constituents in the field. ACT4JJ advocates for the reauthorization of the Juvenile Justice and Delinquency Prevention Act (JJDPA) and for federal funding for juvenile justice programs and services. Learn More. The JJDPA creates a federal-state partnership for the administration of juvenile justice and delinquency prevention in the United States. Subscribe to the Act4JJ mailing list to stay current with national juvenile justice news.